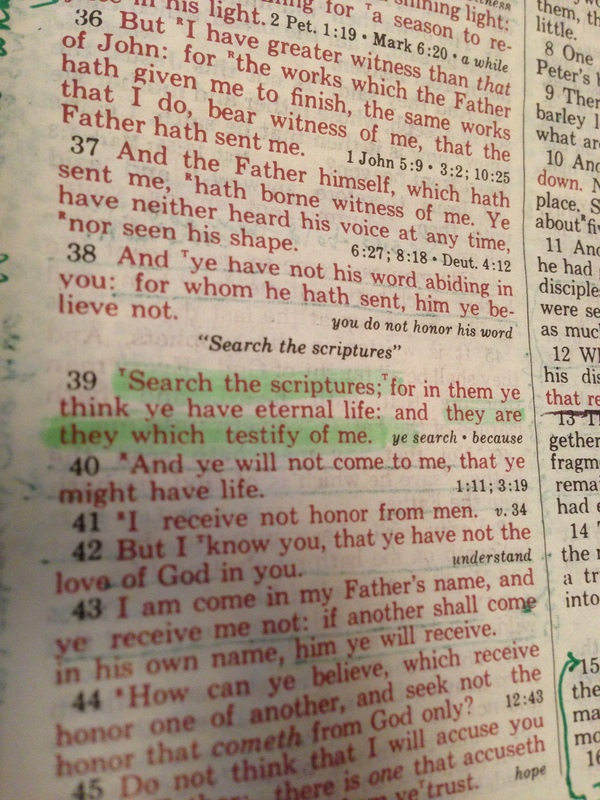 “…they are they which testify of me.” -Jesus Christ, speaking of the Old Testament scriptures. Genesis Chapter 5 is solely dedicated to a list of Adam’s descendants. (you can read the full chapter at the bottom of this post) Why would God do that? Why devote a chapter to a list of names? We can see why He did it, in Genesis 5 at least, when we look at the first ten names in the order given. Man (is) appointed (to be) subject to death (and) sorrowful (but) from the presence of God one comes down, dedicated and dying, He shall send to the poor and lowly rest (and) comfort. Only five chapters into the Bible and already Jesus Christ is found. According to the principles of textual criticism, it’s impossible for these names to be here, with these meanings, in this order, and at this point in the Bible, unless the book of Genesis was written after the New Testament. Of course every bible scholar on the planet, both Christian and non-Christian alike, agrees that Genesis was written thousands of years before the New Testament. What does it mean then? It means our Father knew Adam would blow it. God knew mankind would need a savior. It means our Father in heaven, in His abundant grace and mercy, provided a way to reconcile you and I to Him. And He was preparing the world through His word thousands of years before He sent His Son. Then he said to them, “These are my words that I spoke to you while I was still with you, that everything written about me in the Law of Moses and the Prophets and the Psalms must be fulfilled.” Then he opened their minds to understand the scriptures. When Enosh had lived 90 years, he fathered Kenan. Enosh lived after he fathered Kenan 815 years and had other sons and daughters. Thus all the days of Enosh were 905 years, and he died. When Kenan had lived 70 years, he fathered Mahalalel. Kenan lived after he fathered Mahalalel 840 years and had other sons and daughters.Thus all the days of Kenan were 910 years, and he died. When Mahalalel had lived 65 years, he fathered Jared. Mahalalel lived after he fathered Jared 830 years and had other sons and daughters.Thus all the days of Mahalalel were 895 years, and he died. When Lamech had lived 182 years, he fathered a son and called his name Noah, saying, “Out of the ground that the Lord has cursed, this one shall bring us relief from our work and from the painful toil of our hands.” Lamech lived after he fathered Noah 595 years and had other sons and daughters. Thus all the days of Lamech were 777 years, and he died. This entry was posted in Bible Commentary, Bible Study, Genesis, I Wish Someone Had Told Me This When I Was Young, Jesus in the Old Testament and tagged Genesis 5, Jesus in Old Testament, Names give gospel message, Names gospel message, Names in Genesis 5 by Kurt Bennett. Bookmark the permalink. It is amazing how these names reveal the coming Savior and Messiah, and through genealogy. When I learned the meanings of these names I was tickled in my spirit that the Creator would give us a hint of His coming Savior to the earth. Another thing that intrigues me is that Methusalah died at the ripe old age of 969, which hints of blessing for those who live a godly life, as he was the oldest of the ten to die, and right after that the LORD instructed Noah to gather his family into the ark. The rest is history in the making. How shall we affect history with what we now know? And what of our names…what will they tell? Thanks for your comment Irene! I like your question, “And what of our names… what will they tell?” I pray our names are like the Old Testament scriptures, which tell of Jesus’ life and how he gave it up to rescue us. God’s richest blessings on you!